Most people have already heard about the recent change in Michigan’s DUI Law increasing the Charge and Penalties for what’s called a High BAC case, meaning any case where a person’s Bodily Alcohol Content (BAC) is .17 or above. The new Law adds a whole new, intermediate Drunk Driving offense to the palette of DUI Laws and consequences already in place. This article will focus on how these charges are being handled in the Local Courts of Macomb, Oakland and Wayne Counties. In other words, what happens when a person is Stopped and Arrested in the Detroit-area for DUI and their breath or blood test results (BAC) are .17 or above. In that regard, perhaps the first, and most important distinction we need to make in this examination is the difference between a .17 or higher BAC result, and a .17 or higher BAC charge. This distinction is HUGE. Under Michigan Law, municipalities can enact Criminal Ordinances of all kinds. They cannot however, make a Law that punishes a Crime by anything more than 93 days in Jail. There are all kinds of subtleties and technicalities involved in this, but we’ll skip those in favor of a more simple explanation. State Law punishes a 1st Offense DUI by up to 93 days in Jail. Any Municipality can likewise enact its own ordinance punishing a 1st DUI by up to 93 days in Jail. 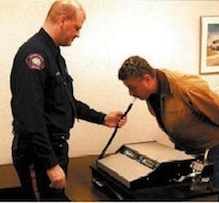 When a Police Officer Arrests someone for DUI, he or she can either write them up under the Ordinance of the Municipality in which the Arrest is made (usually, the City of Township for which they work), or under the State Law. The State Police, for example, always write up any DUI under the State Law. The Clinton Township Police Department, however, will write up a 1st Offender under the Township Ordinance. This makes the Fines assessed by the Court payable to the Township. In the case where the State Police write someone up for DUI, the Fines go to the State. Obviously, no municipality wants to see money it could keep go to the State, instead. Beyond who gets paid, however, is the issue of who Prosecutes any given case. Local Ordinance violations are Prosecuted by the local City (or Township or Village) Attorney. State Law cases are handled by the County Prosecutor (who represents the State in any given County). From a purely economic point of view, it makes no sense for a Municipality to NOT have an Ordinance cover 1st Offense DUI cases. Pretty much every one does. Likewise, it makes no sense to not use that Law when charging someone with a 1st Offense DUI. In fact, not doing so means lost revenue to the Municipality. In the world of DUI cases, however, anything more serious than a 1st Offense case, meaning anything with a potential penalty of MORE than 93 days in Jail, cannot be covered by a local Ordinance, and must be handled under State Law. This explains why 2nd Offense DUI charges (which are punishable by up to 1 year in the County Jail) are ALWAYS State cases, handled by the County Prosecutor. Then someone came up with this brainstorm to add a new charge, called High BAC, which would apply ONLY to 1st Offense cases, and would increase the potential penalties from a standard 1st Offense’s “up to 93 days in Jail” with a maximum possible penalty of “up to 180 days in Jail,” amongst other things. This means a High BAC Charge MUST be written up under State Law. This also means that the Municipality involved gets stiffed out of any Fines paid in the case. What no one thought (at least enough) about was how many cases this would take away from being brought under Local Ordinances. In other words, no one thought enough about how much money Cities, Townships and Villages would be losing by not being able to handle cases brought under this new Law. As it turns out, its nothing to sneeze at. To date, any number of Police Departments have simply written up someone with a BAC of above .17 with a standard 1st Offense violation, and passed the matter up to its City (or Township, or Village) Attorney and let them decide what charge to ultimately assess. This, in turn, has forced those Municipal Attorneys to have to decide whether or not to either ignore the High BAC Law, and bring the charge as a regular, 1st Offense DUI, or to pass the whole case, and all the revenue that goes with it, over to the State Prosecutor. Obviously, the State Police have no such discretion. All of their DUI cases are sent to the State Prosecutor. As I have pointed out in numerous prior articles, my Practice in DUI matters is limited to handling cases in Macomb, Oakland and Wayne Counties. On occasion, I’ll handle a case in neighboring St. Clair County, but beyond these boundaries, I have no experience or knowledge. Accordingly, what is discussed here may be very different in another part of the State. Prior to the enactment of the High BAC Law, most County Prosecutors had a threshold, or level, above which they would not reduce a 1st Offense DUI down to the lesser charge of Impaired Driving. Generally speaking, any 1st Offense DUI with a BAC of above .16 could not be reduced to an Impaired Driving charge. There were, of course, exceptions, but they really don’t matter now, in light of the new Law. Under the new Law, a person can generally forget about getting a 1st Offense, High BAC charge dropped down to an Impaired Driving. Again, exceptions exist, but that’s why they’re called “exceptions” in the first place. Oakland County, for example, currently forbids any Plea Bargaining down of a High BAC charge to anything less. On top of that, the County Prosecutor generally will not reduce any 1st Offense OWI to Impaired Driving if the BAC is above .12. This makes Oakland County the toughest local County with which to deal in DUI cases. I could spend all day on this topic (and so could any local DUI Lawyer), but the upshot is that finding one’s self charged with a DUI in Oakland County is really a double-shot of bad luck. What most people who wind up getting charged with a 1st Offense DUI are learning is that, even if their BAC was .17 or above, no High BAC charge is made, at least initially. What the DUI Lawyers have been able to do is persuade the Municipal Prosecutors to NOT send the case to the State, even if that means just agreeing to a Plea to the original OWI charge. The flip side of the coin is that the Municipal Attorneys will NOT even begin to debate charge, and are not going to waste their time getting involved in Trial situations over an OWI that should be, at least according to prevailing Law, ratcheted up to a High BAC Charge. Thus, if the Lawyer does not agree to the “bargain” of just keeping the charge as OWI, the Municipal Attorney will forward it to the State Prosecutor to have them handle the case under the more severe High BAC Law. In a way, this is the opposite of a “win-win” situation, and can rather accurately be characterized as a “lose-lose” scenario. Anyone who has taken the time to read any of my various other Drunk Driving articles will know that I’m the exact opposite of an alarmist. I cringe when I see what I perceive to be “scare tactics” used to convince people to hire this or that Lawyer, just as I cringe at the sales pitches of some Lawyers who seem to promise exceptional and unlikely outcomes in DUI cases. Here, however, I think its imperative for anyone charged with their 1st DUI, and whose BAC was .17 or above, to start out with a good DUI Lawyer. And to be clear, when I say “DUI Lawyer,” I mean someone who devotes a substantial part of their Practice to handling DUI cases, and not just someone that “does” DUI cases. Going in alone, or with a Lawyer who isn’t a bona-fide DUI Lawyer, might turn out to be a critical mistake, and the kind of mistake that cannot be rectified by subsequently hiring a good DUI Lawyer. In other words, there’s little room for error here. No one knows what the future holds for the High BAC Law. Its unlikely to be repealed any time soon, if ever, and it also seems likely that Municipalities, who stand only to lose revenue under this Law, will continue to try to work around it. For my part, I hope more and more workarounds are found. After all, the focus of my Practice in DUI cases is to produce the best outcome, meaning the least amount of consequences possible, for my Clients. Avoiding High BAC charges seems to benefit not only the person facing the DUI Charge, but the Municipality in which the Arrest was made, as well.